We're back for your weekly roundup of everything digital when it comes to sitcoms this week in Digital Digest, and we have a busy week this week. We've got some good news about a few programs on DVD, but unfortunately, we have a disproportionate amount of bad news about others. Plus, we have two features this week that you aren't going to want to miss, including a review of Simon & Simon - Season Four and the incredibly rare 1980s detective drama Tenspeed and Brown Shoe. So, let's get going with this week's edition! A DVD release of Growing Pains, a series that appeared to be abandoned, is in the works for a second season release sometime in 2011. Several short-lived series (though none specifically were mentioned) are under consideration for Warner's manufacture-on-demand format. There are plans to release the Dallas movies once they have finished releasing the season sets. Additionally, they plan to release the remaining seasons of Dallas by next year. The outlook for releases of Friends on Blu-ray is "very good." It was also mentioned in the chat that Alice has been under consideration for release, but there are supposedly some issues with the masters of the series that need to be resolved. Many series were said to be "under consideration," including further releases of Perfect Strangers, Night Court, Mama's Family, and Knots Landing. Right now, it seems that there is little interest from Warner in releasing several series, including Step by Step, Murphy Brown, The Drew Carey Show, and Wait Till Your Father Gets Home. You can read the entire chat transcript here. Moving on to other news, we have some more unfortunate news to report regarding future releases of The Donna Reed Show. According to Joe Amodei, president of Virgil Films, no further releases are planned by Virgil Films, as they were not able to come to an agreement over releasing further seasons of the series. The first three seasons have been released with a few hiccups along the way, although fans have generally been satisfied with the sets. You can find out some more interesting information about the series, including an e-mail from Mr. Amodei here. It is very interesting that Mr. Amodei specifically mentions that season 4 and 5 will not be released (suggesting that there never was a plan to release the remaining seasons, which the rights are believed to be held by another company), and also that several fans mention in the thread that the fourth season has mysteriously been withheld from syndication. Hopefully something is worked out that will allow Virgil Films (or some other company) to release the remaining seasons. In the meantime, though, you can check out next week's release of The Donna Reed Show - Family Favorites, containing four episodes selected from the first three seasons. They say that when it rains it pour, and on that note, we have one other minor piece of bad news. Big John, Little John, the rare 1970s NBC Saturday morning sitcom starring Herb Edelman and Robbie Rist, was scheduled to be released in just a little over a week, but that will not be happening now. Still, Virgil Films has indicated that the series will indeed be released at some point in time, it is just a question of when. We don't want to leave you with all bad news, though. So we thought that we'd tip you off to some really good DVD deals that can be found at the national closeout retailer Big Lots. One of our posters on our message boards has mentioned finding some new titles from Universal appearing at Big Lots at the low price of just $8.00, including season sets of Coach and Magnum, P.I. Check out our thread from our message boards for some finds at Big Lots in the past. Keep in mind that almost all of the titles mentioned several months ago are not going to be found anymore (they've already sold out), and your mileage will definitely vary as each store tends to stock just random titles. Some will not have any TV titles at all, and others may have a ton of TV titles. By the way, in the upcoming weeks, we hope to tell you about more special DVD/Blu-ray deals that we find both online and in-stores, so be on the lookout for that! Never, ever, ever pay full retail price for any set! Next week (April 13) brings us The Donna Reed Show - Family Favorites, which contains four episodes from the first three seasons of the series. It is a decent DVD, although serious fans would be more probably prefer the previously released season sets of the series. We also get a chance to head back to Southfork Ranch and see J.R. Ewing go nuts (literally) in Dallas - The Complete Thirteenth Season. Universal brings another season of Jack Webb's series about paramedics in Emergency! - Season Six. Finally, everything is far from quiet on the western front, with two releases of classic westerns from Timeless Media, including Alias Smith & Jones - Seasons 2 & 3 and The Oregon Trail - The Complete Series. If you REALLY enjoy westerns, though, Mill Creek Entertainment has The Definitive TV Western Collection, a collection of an eye-popping SIX HUNDRED episodes of various westerns that are in public domain, with 48 discs of countless different series in a special wooden package. The content is far too extensive to list here, so you should check out this detailed synopsis from Mill Creek Entertainment's website. Even though we don't normally cover public domain releases, this is definitely worth mentioning for western fans. You can order all of these now or pick them up in stores on Tuesday, although Dallas and Emergency! are probably the only two that you will be able to find in stores. You can read our review of The Donna Reed Show - Family Favorites here. The Dallas review will be up shortly. Rick and A.J. Simon (Gerald McRaney and Jameson Parker) are more than brothers... they're best of friends. In the 80s detective drama, Simon & Simon, they're also private eyes. This week, we are going to take a look at the recent release of Simon & Simon - Season Four, from Shout! Factory. Simon & Simon - Season Four (Shout! Factory, $49.98) is the latest installment in the detective drama about the Simon brothers, Rick and A.J., who run a private detective agency in San Diego and seem to get in deep trouble with each and every case they take on. The series premiered in 1981 on CBS and lasted an impressive nine seasons, becoming one of the most prominent action dramas of the 80s. The series also features Mary Carver as Rick and A.J. 's mother and Tim Reid (WKRP in Cincinnati and Sister, Sister) as Lieutenant Marcel Proust "Downtown" Brown, their friend in the police department. The fourth season begins with the double-length episode "C'est Simon," where the fiance of A.J. and Rick's mother is kidnapped and the duo ends up in Paris. Rick and A.J. investigate the death of a food critic in "A Little Wine With Murder?" Rick's boat is repossessed and the man who repossesses it turns up dead in "Manna From Heaven," can A.J. get him out of this mess? Daphne Reid (The Fresh Prince of Bel-Air, also Tim Reid's wife) and Alex Rocco guest star. The duo tries to solve a 20 year old murder case in "Who Killed the Sixties?" Comic books could be the key to solving a murder in "Almost Completely Out of Circulation." Frank Bonner (WKRP in Cincinnati) guest stars in "Deep Cover," where he plays a news reporter who hires a hit man to kill him, and wants A.J. and Rick to stop the hit man. Look for Daphne Reid in this episode as well. John Astin (The Addams Family), Bernard Fox (Bewitched), and Ned Wertimer (The Jeffersons) all guest star in "Revolution #9-1/2." Rick and A.J. try to play Santa for a little girl wanting to find her father in "Yes, Virginia, There is a Liberace." Some homeless men are mysteriously disappearing in "Almost Foolproof." Rick and A.J. accidentally bust a smuggling operation and become famous--and realize they need to go their separate ways (at least temporarily)--in the two-part episode "Simon Without Simon." Rick and A.J. have to find a girl who has a drug problem in "Slither." Rick and A.J. investigate a dognapping that results in their own dog being dognapped as well in "Marlow, Come Home." Rick and A.J. help clear Lieutenant Brown's cousin of murder in "Out-of-Town Brown." 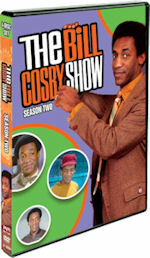 The packaging is similar to the packaging used for seasons two and three, with three dual slimcases. The cover art has the duo sitting in front of the ocean with a green color scheme, and the back has a basic description of the series and a photo of Rick and A.J. with their dog. The slimcases have a photo of Rick and A.J. on each one, with a description and original airdate for each episode on the back of each slimcase. The menus on the set are very nicely done, with videos showing action clips from episodes on the disc when you first insert the disc. Then, you get a menu that plays the theme song (with more videos in the background) and options of Play All and Episodes. Selecting Episodes takes you to another menu that has the theme song from the first season playing in the background, and all of the episodes on the disc listed with a snapshot from each episode. Chapters are placed appropriately throughout each episode. The video and audio on the set is by no means perfect, but it does look really good. The biggest issue is a bit of grain and debris, but you almost come to expect it from a series as old as this one. The audio is a bit muffled, but it is nothing too significant. It is worth noting that there is a significant decline in video and audio quality on the two syndicated episodes. Each episode is presented in mono. All of the episodes on the set are closed-captioned for those who need them. Unfortunately, there are no special features available on the set, and according to Brian Ward at Shout! Factory, it is unlikely that either Gerald McRaney or Jameson Parker will ever participate on this sets. It is too bad, really. It would be nice to at least have some original promos or something along those lines on future sets. This series has been a pleasant surprise for me on DVD. I had always ignored the series on TV, and decided to take a chance with the series after finding the first season (which was released by Universal, not Shout! Factory) in the discount DVDs at Big Lots, and was hooked after just one episode. I immediately purchased seasons 2 and 3 and have been anxiously awaiting the release of season 4. We never bothered to review this series in the past because none of our reviewers were particularly interested, but now, I regret that I passed up the opportunity to review this excellent series. All in all, Shout! Factory has put out a decent set, although the two edited episodes are a little frustrating. Still, it is no reason to pass up this set, and fans of 80s detective dramas will definitely want to own this set on DVD. If you are unsure, you might even be able to still pick up a copy of the first season at Big Lots to get a taste of the series, and when you are hooked (trust me, you will be), you can come back here and order this set through our link in this review! The Simon brothers weren't the only odd couple of detective dramas in the 80s. Just one year before Simon & Simon premiered on CBS, ABC had a short-lived series from Stephen J. Cannell about an even odder couple of private eyes, accountant Lionel Whitney (Jeff Goldblum) and ex-con/parolee E.L. Turner (Ben Vereen). It is already available on DVD. Check out our review of Mill Creek Entertainment's DVD release of Tenspeed and Brown Shoe. Tenspeed and Brown Shoe (Mill Creek Entertainment, $14.98) was one of the first (and perhaps one of the more unique) entries in the 80s era of detective dramas. There were many series about detectives in the 80s, including Simon & Simon, Moonlighting, Miami Vice, and Hunter. All of these series had one thing in common: they were all series about detective duos, and there was something unique about the duo that made them stand out above the others in their own way. In Tenspeed and Brown Shoe, Lionel Whitney (Jeff Goldblum) is an accountant who is very straight-laced and smart when it comes to crunching numbers. His partner, E.L. Turner (Ben Vereen) is an ex-convict who has to work in order to stay out of prison while on parole who is much more street-savvy than his partner. Together, they form their own detective agency in this light-hearted detective drama from Stephen J. Cannell Productions. Mill Creek Entertainment's release of Tenspeed and Brown Shoe contains twelve of the thirteen episodes of the 1980 series on a three disc set. The original two hour pilot, unfortunately, is not included, as the rights to the pilot are held by CBS Television Distribution, but every other episode of the series is included on this set. In the first episode on this set, "Robin Tucker's Roseland Roof and Ballroom Murders," a mysterious man is willing to pay a ton of money to find a woman. Can Lionel and E.L. help? John Pleshette (Knots Landing) guest stars. "The Sixteen Byte Data Chip and the Brown-eyed Fox" is a computer caper with a twist when a woman is looking for her missing brother. Lionel and E.L. inadvertently get involved with the mob in "The Millionaire's Life." Lionel and E.L. help a girl break up with her boyfriend in "Savage Says: The Most Dangerous Bird is the Jailbird," but unluckily for them, he is a mobster. E.L.'s parole officer is trying to find a way to get him back in prison in "Loose Larry's List of Losers." The duo investigates the murder of a mental patient in "The Treasure of Sierra Madre Street." Lionel tries to impress his parents with a luxurious office that isn't his own in "Diamonds Aren't Forever," and as it turns out, the office belongs to diamond thieves! The runtimes of each episode are variable, and I don't know if anything is missing, but my assumption would be that the episodes are unedited. As an added bonus, the original commercial bumpers are even left intact on every episode. It is very nice to see these intact. The set is packaged in the same kind of packaging from Mill Creek Entertainment that we've complained about before: the double-thick keepcase with paper sleeves. I don't know why they continue to use this, it is about the worst kind of packaging imaginable. 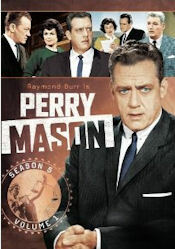 The cover art has a picture of E.L. and Lionel, and on the back, there are a few snapshots from the episodes and a basic description of the series. There are four episodes on each disc, and each disc has a picture of the duo. The discs have very nice menus, with the theme song playing and videos from the episode playing on top of the screen, and options of Play All and Episode Select. Choosing Episode Select takes you to a menu that lists all of the episodes. Once you select an episode, it plays right away. Chapters are placed throughout each episode, although they could have included more per episode than they actually did. The video and audio on the set is a little bit rough, but that is somewhat to be expected from a rare series such as this one. There is grain and debris all over the place, but in a way, it gives the series a nice "vintage" look, and is most certainly an improvement over any other sources from which anybody may have this series. Some episodes do look better than others, however. The audio is presented in mono, and the episodes are not closed-captioned or subtitled. The set is completely devoid of special features. It would have been nice to have had a little bit more background on the series, or better yet, it would have been great if a deal could have been worked out with CBS Television Distribution to include the original pilot. This was a fun show to watch, and Mill Creek Entertainment deserves major kudos for even putting this out on DVD. I had never even heard of this show prior to hearing this release being announced, and I am sure that many other classic TV fans have never heard of it either. It is a little quirky and easy to see why the show didn't make it beyond a half season, but seeing it on DVD is an interesting look at a rare show and the plots themselves were honestly pretty decent. It is just too bad that the pilot (which explains the back story of how the duo came together) couldn't be included. This is a nice and inexpensive series that is worth adding to the collection of all fans of detective dramas. We'll be back next week with more news (hopefully more good news than bad news, this has been a rough week) and a review of Ally McBeal - The Complete Second Season. We also have a very special Digital Digest feature coming up next week that true DVD collectors are going to want to see regarding a current disturbing practice going on by DVD manufacturers. We're still a work in progress, so we want to hear what you think about Digital Digest. Let us know on our message board or Tweet/Facebook us. Until next week, keep it digital!